Slippery Rock - This Town Rocks! | Visit Butler County Pennsylvania! No, it’s not a joke. That is the real name of the town! Here are some rockin’ things to do in downtown Slippery Rock. Entering Slippery Rock from Rt. 108 via I-79, you’ll be greeted by a sign announcing The Village at Slippery Rock with a pair of natural rock waterfalls. Part of the tour is walkable, but you'll end driving. Spend the night at the Fairfield Inn and Suites and take advantage of their free high speed internet and quality rooms. Should you prefer a B&B, there are some options below on the outskirts of town. Park in the lot adjacent to the waterfalls mentioned earlier for a chance to enjoy some unique art, from a 12-foot high water sculpture to Chinese poetry. Learn the story of how Slippery Rock got its name from a 28’ x 8’ mural painted on several separate panels. Leave a note on the public chalkboards for other passersby. Begin walking south along scenic Main Street. 316 North Main St. - The Slippery Rock Community Library provides a welcoming environment while connecting people to services, activities and technology to enrich life, foster literacy, inspire curiosity and stimulate the imagination. 141 S. Main St. - Experience an atmosphere like no other at North Country Brewing Co. Beer is brewed on site, and food is farm to fork! 1 Morrow Way - Slippery Rock University (SRU) has a lot to offer visitors, even a disc golf course across campus! If you should decide to park on campus, be sure to obtain a visitor’s pass from Campus Police on Keister Rd. Behind the Ski Lodge, there is a HUGE hill perfect for sled riding. 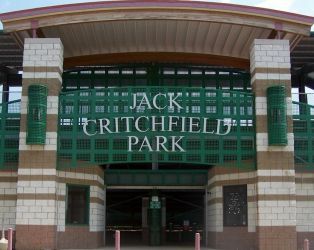 630 New Castle, Rd. - If you came into Slippery Rock from I-79 you probably saw The Birdwatchers Store on your way in. This shop carries feeders, seed, houses and other gifts that any bird enthusiast will enjoy. 1037 West Park Rd. 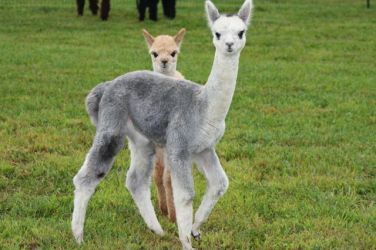 - Cute and cuddly alpacas will greet you at WestPark Alpacas. They are one of the very few 'purpose-built' alpaca farms around and grow most of their own hay. 341 Centreville Pike, Rt. 173 - While Armco Park’s primary purpose is YMCA Camp, its 75 acres are a great place for a picnic and features a playground and horseshoe pits. 1140 Kiester Rd. 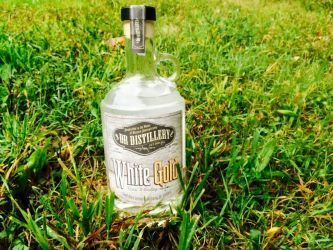 - In 2015, the Slippery Rock area welcomed a distillery. DR Distillery handcrafts whiskey and rum using techniques handed down over the generations. Stop by for a tasting! 2865 William Flynn Hwy. - Dating back to 1822, the Old Stone House is a historic inn and museum of rural life. Historical encampments and other events are often held, so be sure to check ahead! 2951 Prospect Rd. - Visit the only protected prairie in the state at Jennings Environmental Education Center. The park is a unique combination of prairie and forest, offering a wide array of resources and opportunities for educational programs. Visit in late July-early August to see the stunning purple blazing star prairie flower in full bloom. Stretching across 4,600 miles from New York to North Dakota, the North Country Trail is a national scenic trail running through Jennings and behind the Old Stone House. 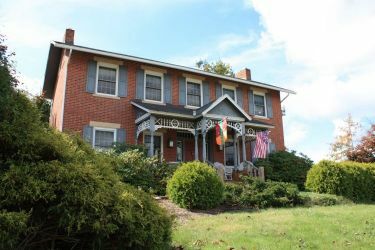 Creek View Manor is a 6-bedroom, 4-bathroom country rental located on 40 acres overlooking Slippery Rock Creek. 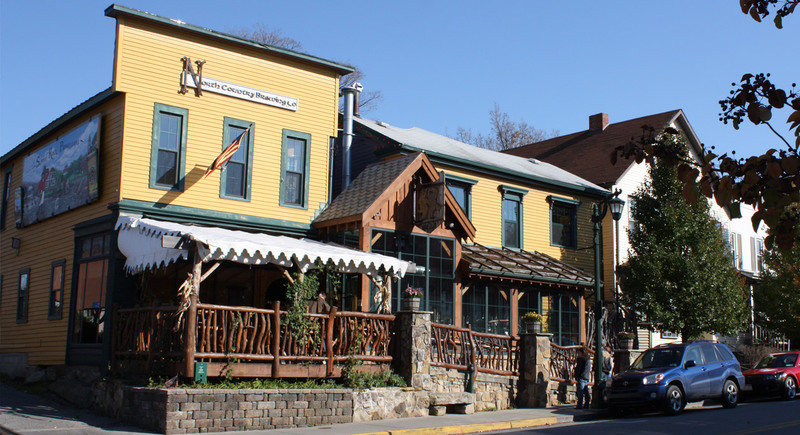 The Applebutter Inn is an 11-room inn built in 1844. It's also decorated in period antiques!